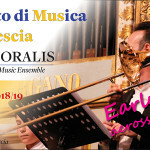 Description: «The music programme puts together different styles, compositional techniques and ways of performing employed in Rome and Venice…» [...] Read more! 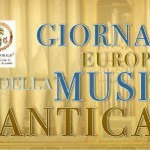 Performance: Gregorian chant and works by Giovanni Pierluigi da Palestrina, Adrian Willaert, Floriano Canale, Giovanni Francesco Anerio. 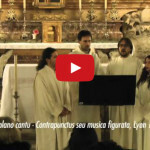 Description: « Vespro della Beata Vergine for the celebration ‘In Dedicatione Ecclesiae’ · Canale Festival · Rassegna culturale in onore di Floriano Canale: world premiere of vocal…» [...] Read more! 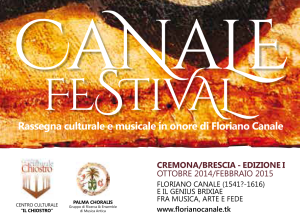 Performance: Vocal polyphony, instrumental music and solo motets by Floriano Canale and other composers from 16th-17th cent. Brescia. 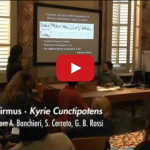 «The intensive course for Master/PhD students in Musicology (24h) deals with several issues about improvisation and ornamentation within learning processes in 15th-17th cent. 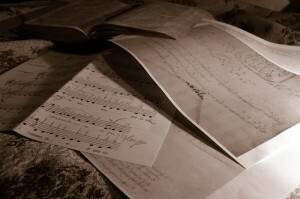 repertoire, as well as…» [...] Read more! 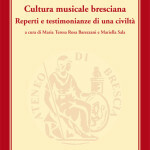 Description: «In 2011 Giovanni Varelli, working on his paper «Early Source for Two-Voice Organa in British Library, Harley 3019» for several international conferences (Med-Ren, Cantus Planus…), asked Palma Choralis’ cooperation in performing and recording both antiphon and organum “Sancte Bonifati martyr”. Thus, we are pleased…» [...] Read more! Click here for further information about Celebrantes diem festum Agathae and view all the photos taken during the event and enjoy! Description: «The lecture and concert preview to the critical edition of Sacrae Cantiones (1581) by Floriano Canale – theologian, musician, organist and philosophus naturalis of the Canons Regular of SS. Salvatore – offer to the audience the possibility to…» [...] Read more! 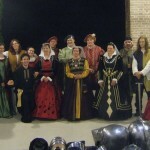 Performance: Gregorian chant and Renaissance Polyphony. 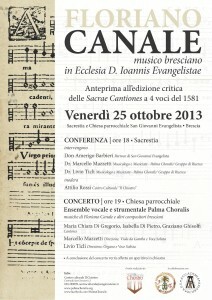 Music by F. Canale e V. Bona and other composers from late 16th cent. Brescia. 2 voices Polyphony by Orlando Di Lasso, Moduli duarum vocum, Paris, 1578. 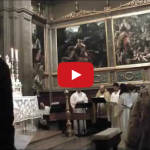 Plainchant – 3rd Responsorium (mode 7th), Feria IV in Pascha. 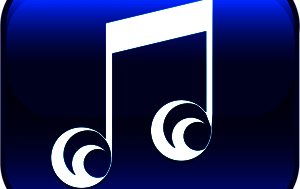 Plainchant – 1st Responsorium (mode 3rd), In Assumptione Sanctae Mariae. 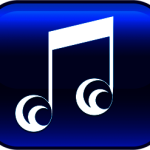 Motet for 2 voices and b.c. by Serafino Patta, Sacra Cantica concinenda, Venezia 1611.